Chains kept me up most of the night. 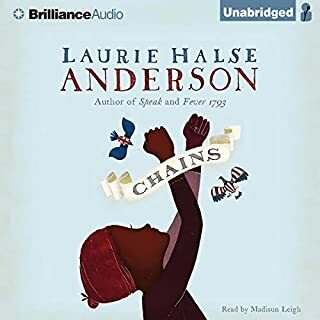 Laurie Halse Anderson is an amazing writer or the contemporary novel, Speak is more or less the benchmark for the YA novel, but this historical tells a thrilling story of our past with a main character that begs you to admire her courage and her strength. The book stunned me with it's beauty and honesty will keeping the story racing. This one won't have to be required reading. Or listening.